1993-1995 Postdoc at the German Cancer Research Center (DKFZ) in Heidelberg; Department of Advanced Tumor Virology. 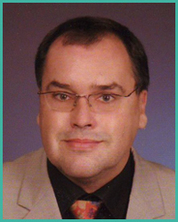 1995-2000 Scientific Researcher at the WFM Wasserforschung Mainz Ltd.; Leading scientist of BMBF research projects about biofilms and antibiotic resistances. Leader of the Microbiology/Molecular Biology working group at the Karlsruhe Institute of Technology (KIT) - Campus North at the Institute of Functional Interfaces (IFG). biofilms, resistance mechanisms, population analyses, stress mechanisms in bacteria, molecular biology concepts to evaluate disinfection strategies, gene expression in bacteria in natural and technical processes.